pasta salads can be so many different things and they all are delicious!!! always a great side dish at any summer meal! Sounds great, I've been making the same one for years, it involves sweetcorn and little cubes of cheese and always goes down well, but I like the idea of the different proportions of ingredients. Thanks for sharing. What a great post! 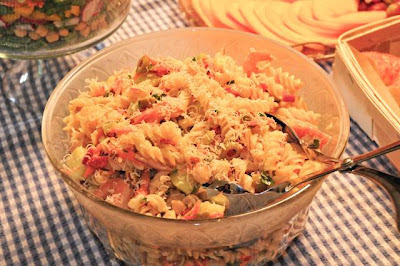 I love how adaptable pasta salad is...and I look forward to trying some of the ideas you listed. Thanks for sharing!